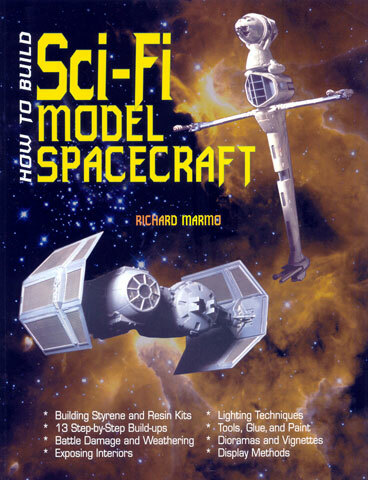 New from Specialty Press, the book is a how-to for the newcomer to the world of science fiction modelling. Introduction – Science Fiction: What is it? Chapter 1 – Tools Paint and Glue. 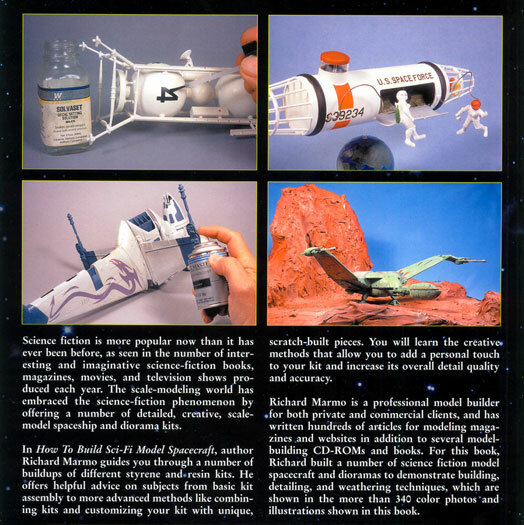 Chapter 2 – Styrene Kits. Chapter 3 – Working With Resin: Little Known Star Wars Ships. Chapter 4 – Dioramas and Vignettes. Chapter 5 – Bare Metal or Painted Plastics. Chapter 6 – Advanced Detailing. Chapter 7 - Advanced Kit Building: "Open the Pod-bay Doors Hal". Chapter 8 – Display Methods. Appendix A – Source Guide. The initial chapters advise on what tools you will need – the basic ones and the "nice to haves", glues – the merits, advantages and disadvantages of CA, styrene and epoxy, Paints – Acrylics and enamels – methods of application – brush versus airbrush. The later chapters discuss methods for discussing the traditional styrene kits and limited run resin ones. Both of these chapters take you through a step-by-step construction of an example of each type. The final chapters explain methods on how to display your creations by way of creating dioramas and vignettes as well as the construction of display cabinets. The book is 81/2" x 11" It consists of 128 pages printed on glossy paper between cardboard covers and contains 325 colour and black & white photos. Even though the book is aimed at science fiction modellers, it contains information that is pertinent and valuable to all modellers. This is a well written book in a simple easy to understand format. Recommended for both the newcomer and the know it all.